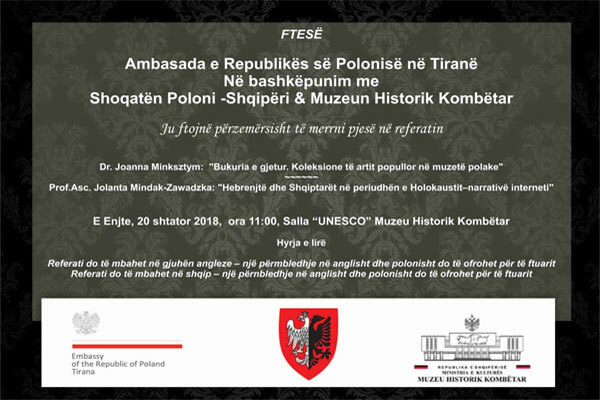 -Dr. Joanna Minksztym: "Beauty found, folk art collections in Polish museums ". -Prof. Asc. Jolanta Mindak-Zawadzka: "The Jews and the Albanians in the Holocaust - Internet Narrative" . Place: UNESCO Hall, National Historical Museum.